How Far is SEBCO Morais Garden? 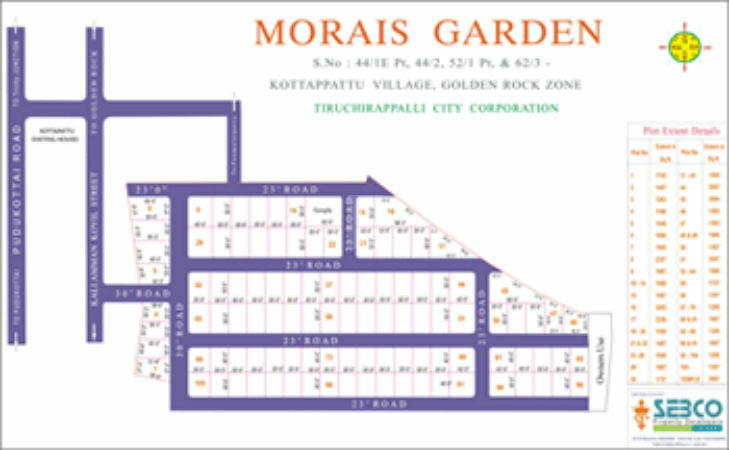 SEBCO Morais Garden is one of the popular residential projects that is located in Ponmalai Patti, Trichy. Developed by SEBCO Property Developers, this project offers plots. It is close to many educational institutions and hospitals. 1 km from Pudukkottai Main Road. 2.5 km from Ponmalai railway workshop. 3 km from Anna stadium. 5.5 km from Railway junction. 5.5 km from Trichy central bus stand.